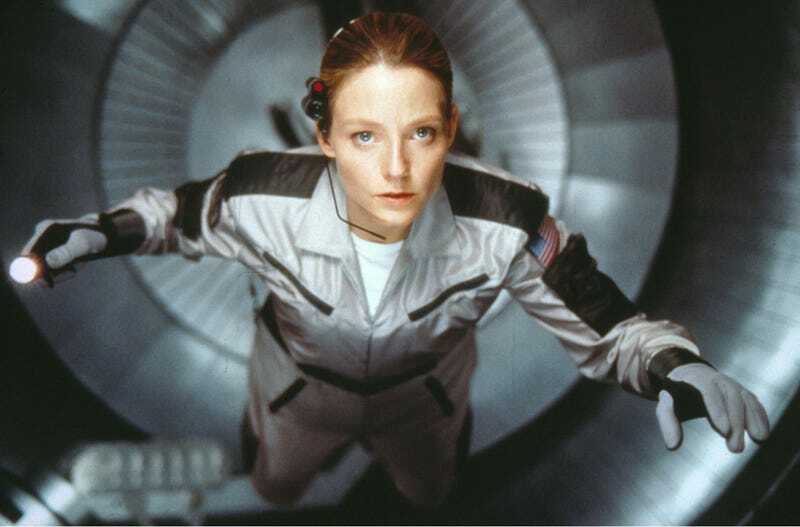 Jodie Foster stars in Robert Zemeckis’ Contact, which opened 20 years ago today. All Images: Warner Bros. When Contact first opened, 20 years ago today, I thought it was a masterpiece. For a soon-to-be high school senior, Robert Zemeckis’ adaptation of Carl Sagan’s novel was the perfect Hollywood mix of thought-provoking ideas and spectacle. It wasn’t until years later I realized how divided fellow films fans were on the film. So I decided to look back and see what Contact has to offer in 2017. Back in 1997, one of the biggest reasons Contact made such an impact on me was its captivating depiction of the eternal struggle between science and religion. The argument is the core of the film and, frankly, not subtle in the least, but it fascinated me. Contact takes the two equally compelling sides of the argument and personifies them with Jodie Foster’s scientist Ellie Arroway and Matthew McConaughey’s religious scholar Palmer Joss. Science demands proof, but religion makes it okay to believe without proof. Watching the film again, when Palmer asks Ellie if she loves her father and then asks her to prove it, I can’t imagine a simpler, more understandable breakdown of the great debate. However, watching it two decades later, what stands out to me in Contact is Zemeckis’ depiction of media and technology. Ellie with a computer monitor. There are A LOT of monitors in the movie. Given that one of the main criticisms about Contact is its obvious, elementary deconstruction of a complex argument, maybe Zemeckis is simply trying to warn us of the influence of media. It could also just be story-driven; the film depicts a major historic event in a modern context, so naturally the media, television, and technology would be a big part of that story. But there are way, way too many examples of media and technology in the film to chalk it up to either of those explanations. After my viewing, I’m convinced Zemeckis is teaching us about perspective and living in the moment. Contact eventually ends up being about a human who herself takes the next step in the evolution of humanity. She makes contact with an alien species, opening up infinite possibilities. However, so much of that journey to that moment is seen through a filter, constraining the magnitude of the event. The more we’re forced to look at someone else’s perspective, like on a television, instead of our own, the less perspective we have on the world and the galaxy around us. When contact is made, the alien says humanity isn’t ready. Now take all that and consider this. Contact begins with a jarring reverse journey through the cosmos, starting at Earth as we hear the sounds of, what else? The media: radio, television, and more. As we slowly get further and further away from Earth, those sounds fade away. Of course there’s a scientific reason for this, but it’s also the film’s way of saying, “If we get away from that, things can be much more peaceful and beautiful.” The camera continues to fly backwards, first though planets, then galaxies, then so much more until exiting through the eye of the main character. It presents a true perspective, unlike the limited views everyone else is stuck with. Then, when Ellie journeys to Vega at the end of the film she again looks at this new world with her own eyes. “They should have sent a poet,” she says, as her face morphs back to her childhood self. Yes, she’s wearing a camera, but notably that camera isn’t working. She’s experiencing the most important moment in human history entirely on her own. Only through her own personal perspective can she truly appreciate the discovery at hand. Like the rest of the movie, it’s anything but subtle, but it’s a rewarding background thread to follow as the film moves along. 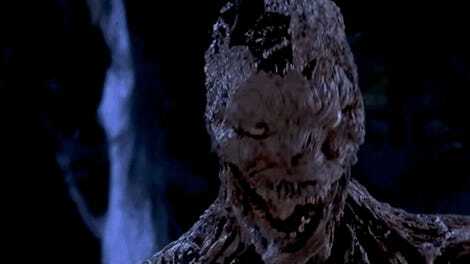 That’s another thing that stands out in the film too. In addition to its more lofty goals, the scope and development in Contact is remarkable. It follows this young girl through a personal tragedy, then she makes this discovery, then that discovery continues to unravel, and at each turn the movie answers one mystery with another mystery and never lets up. Alan Silvestri’s score underplays everything with an nostalgic whimsy, and the supporting performances by the likes of John Hurt, James Woods, William Fichtner, Angela Bassett, and Tom Skerritt give the whole thing an added level of gravitas. There’s rarely a moment in Contact where the expected happens, and the film never loses its focus. Twenty years later, I still think Contact is a masterpiece. In fact, it might even be better now. No, it’s not subtle, but damn is it entertaining, accessible, and layered—and under-appreciated. I highly recommend watching Contact again... even if you’ll probably need to use a TV or computer monitor to do it.